Final Day of my week of portrait session deals! Today is the last day of RUSH WEEK! I've made it really easy for my clients to book their session online. Simply email me or click here to view my calendar, sign your contract and securely pay online with your credit card. Dates are going fast and I will soon be leaving on vacation. 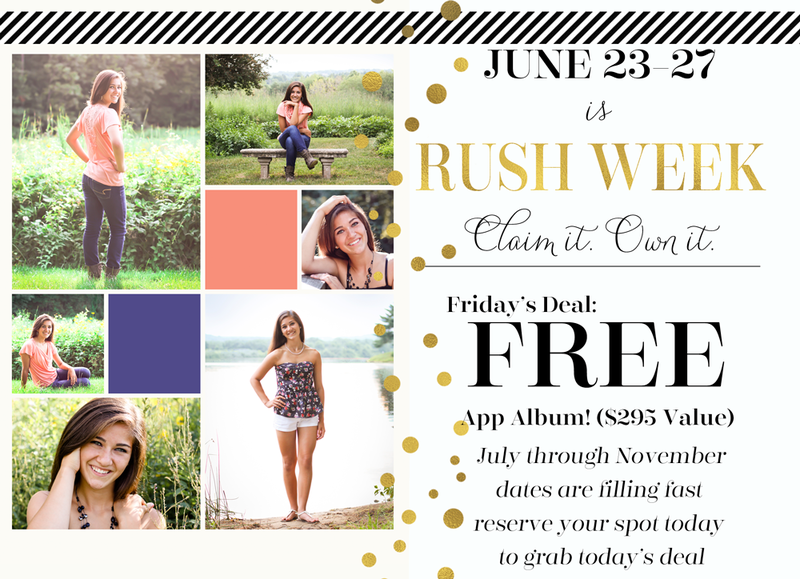 When I get back it will be my busy time of year so I am offering an incentive for all of those who book NOW before all the family sessions and Senior Picture Sessions kick into full gear. Now without further ado! The last incentive of the year. A FREE Album App of your all of your gallery images for your smart phone or device. My clients love these ($295 value)!